Last month I stepped back from projects and posts and had a little Elle & Company brainstorm session. It's good to have a business checkup once in a while, reevaluate, and ask the simple questions: What am I doing? Why am I doing it? How could I be doing it better? I thought through areas like my branding services (which are getting an update this week! ), the 2015 planner (which is coming out in 2 weeks!) and the blog. 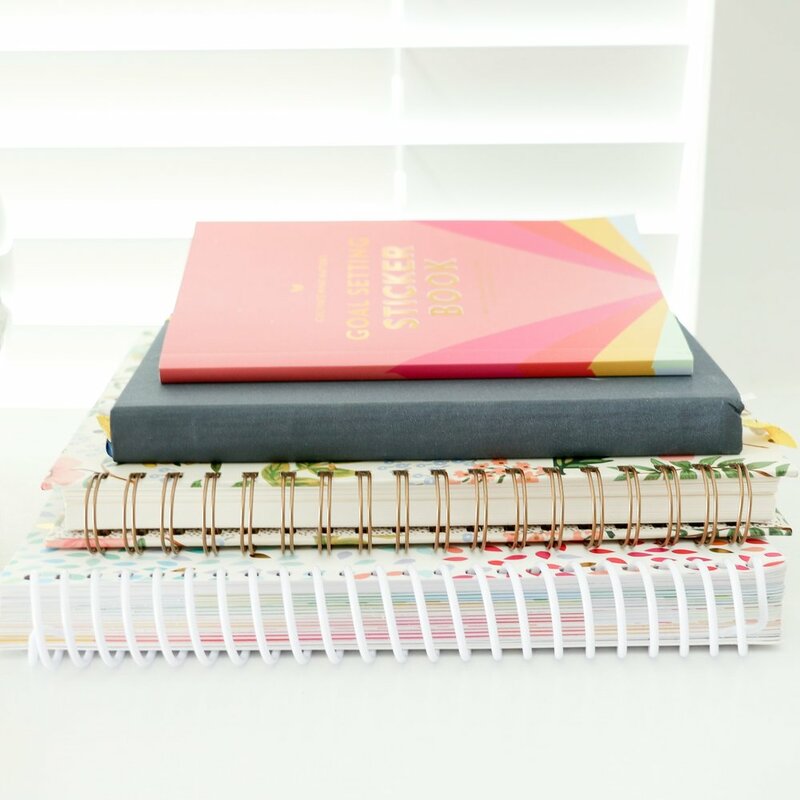 And the more I started thinking through the Elle & Company blog, the more I realized how fundamental it's been for my business. Here's why. This seems obvious, but blogging is a great way for me to share recent projects and Library additions with readers and prospective clients. When followers see my work on the blog, they become more aware of my services and there is a greater chance that they might work with me down the road. I receive at least 2 design inquiries on the days when I post a new project, and most of the design inquiries I receive are from ladies who keep up with this space. Posting about recent Library additions also allows subscribers to see what's new in their printable collection and allows non-subscribers to see what they might be missing out on. There's a great little community in this blogging world. This outlet has given me so many great opportunities to connect and partner with other creative women, whether it's by cross-promoting, featuring, or just lending a word of encouragement. Technically it isn't "free" - time is money - but the hours I spend blogging during the week are well worth the great marketing that it provides for my business. 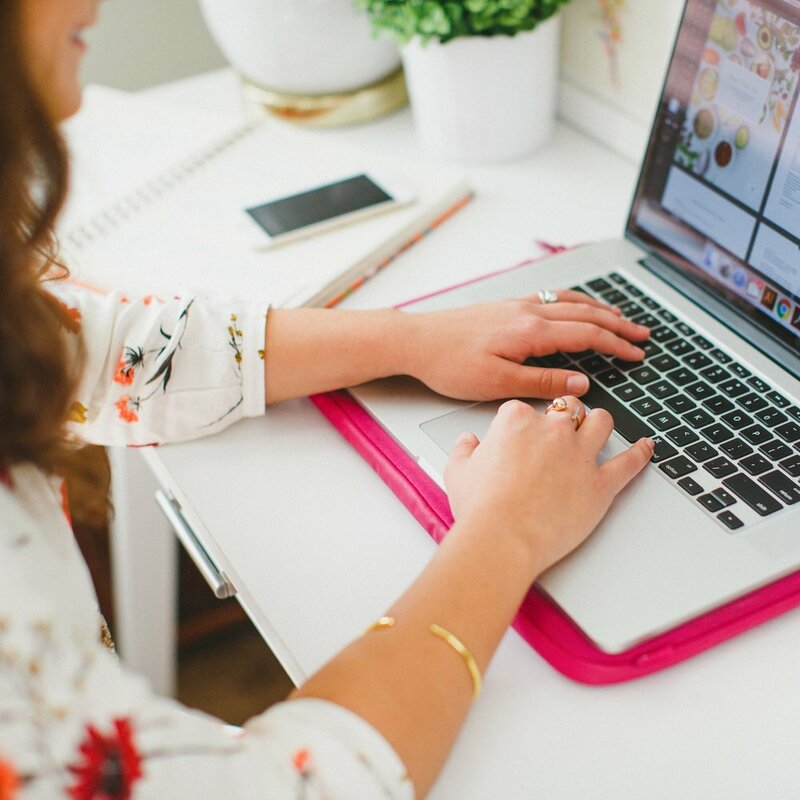 Blogging allows me to post sharable content, create hype about new product launches and business events, and share new projects and Library additions, all of which keep visitors coming back to my site. My husband, Jake, said something a few months ago that continues to stick with me. Most storefront businesses don't have the same people coming into their shop day after day. Blogging keeps hundreds of people coming back through the Elle & Company "doors" day after day. My About page will tell you that I have a degree in graphic design, but this space allows me to prove my skills and my background. Readers and followers can see my experience for themselves when they see my posts on projects, design, and business. My favorite bloggers are always willing to share what their talent/knowledge/creativity to benefit others in some way. This space gives me an awesome opportunity to do the same thing and "pass the baton". Tools and resources aren't meant to be hoarded; my blog is an outlet for sharing my gifts with others. I was surprised to see the results of my reader survey a few months ago and see how much my readers love personal posts. But it makes sense - I love reading about the normal day-to-day lives of the people I follow along with. Blogging allows me to connect with my readers; it feels more personal than a quick "about me" section. It builds trust and friendships, and it always makes my day to receive feedback from readers who can relate with me in some way. It's your turn! Why do you blog? How could a blog be helpful for your business?